Bathroom remodel by Jenkins Remodeling, LLC. 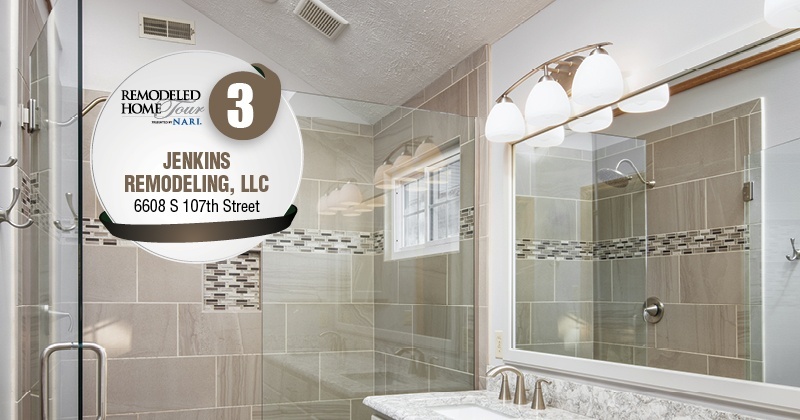 Jenkins Remodeling, LLC fully renovated all three outdated bathrooms of this home. The master bathroom was completely redesigned, replacing an unused jacuzzi tub with a large walk-in shower. A new double vanity and quartz countertop completely updated the look of the room.